PURCHASING ARTWORK…how do we know whats right? Circadian Fine Arts specializes in deciphering what will work and what will not. There are many factors to consider when buying art including: budget, style, media, size, aesthetics, value and more. We can do all the research and results will be delivered to your door. We’ll even install the artwork for you! Large, mutli-canvas installation in private collection. 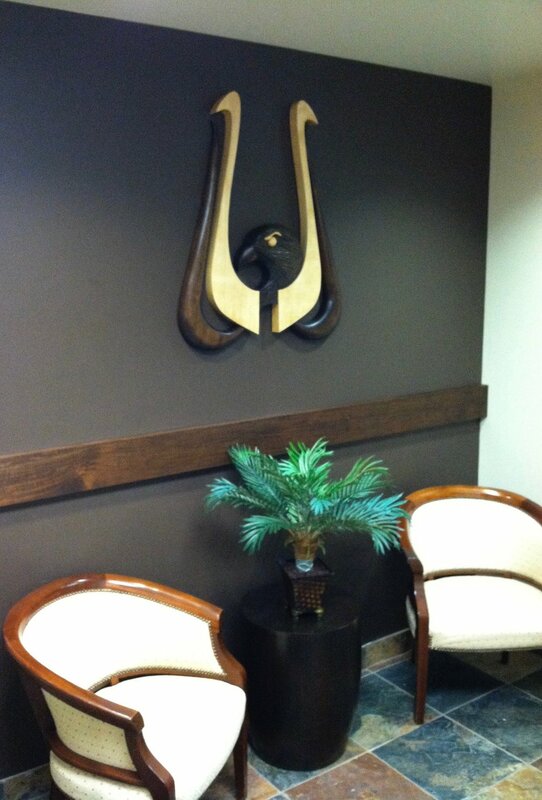 Wall mounted sculpture installed in corporate office. Large scale painting in private collection. Custom residential gallery walls in private residence.